I mentioned how much I loved our apartment. Our apartment was on the pool, and directly across the pool from us was the weight room. The weight room was so nice. It had everything I needed: pull up bars on the cable machine, leg machines and lots of dumbbells. I saw lots of interesting exercise routines in our apartment’s weight room. One, in particular, got me thinking. One guy in particular improvised lots of interesting workouts. He was fit and strong, so I took note of his creative workouts. He would attach dumbbells to his feet and do pull-ups. Too many for me to count without being creepy. I could do maybe five pull-ups back then without any extra resistance. Today…let’s just say I spend a lot of time on my blog. One day, this guy grabbed two 50-pound dumbbells, one in each hand and walked around the perimeter of the gym. It hit me like a ton of dumbbells. A few days before that morning, a loved one told me she had recently visited her doctor. The doctor informed my friend that she was carrying 100 pounds overweight. That super fit dude carries the 100 pounds maybe a minute or two at a time, a few times, then puts the weights back on the rack. My friend carries that extra 100 pounds all the time. She lifts it when she gets out of bed, into the shower, or into the car. She can’t put the 100 pounds back on the rack and get on with her day. The realization was so humbling and disheartening. I suddenly felt really bad for everyone carrying around extra weight. Let’s peek at another perspective, that of the fit dude. Let’s think about him carrying those dumbbells. He’s struggling, he wants to put down the weights, but he’s got a goal in mind. Maybe the goal is 60 seconds, maybe it’s three laps. He passes the rack every lap. Three sets of four laps, he passes the rack 11 times before he racks the weights at the end of lap 12. 11 times he probably wants to put down the dumbbells and relieve the extra burden. Let’s take a moment to admire him not giving up. Unless his goal was five laps. In that case, what a wimp! He maintains the burden, on purpose, resisting temptation 9 times. He reaches his goal and puts down the weights three times, each time celebrating a small victory. Don’t you want to just punch that guy in the face for all his fitness and strength and attaining his small goals all the time? After the last set of his workout, he puts down all the extra weight, all the unnecessary burdens. He goes on with his day, feeling relatively light and free. He probably feels like he’s flying. Who Makes His Own Resistance? If you haven’t read Stephen Pressfield’s The War of Art, you really should. If you have then you know of The Resistance. It’s the force that stands between an artist and her work. It is every excuse and every reason why every person gives up on their goals. Every artist futility hopes to not face Resistance, but it is there for every person every time. 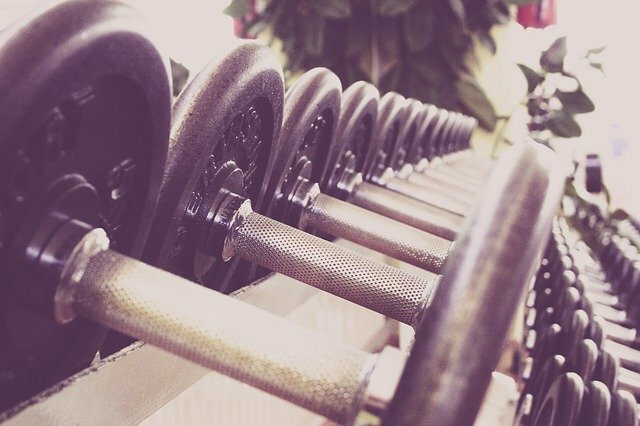 In weight training, Resistance is on purpose. I’m leaving that for its own blog post. Stay tuned! Let’s leave this jerk and return to my friend. She doesn’t get a chance to set down the 100 pounds. She’s stuck with it–for now—carrying it everywhere she goes, lifting it every time she moves. No rest, unless she sits or lies down. It is really easy to feel sorry for her, but should we? Two answers: yes and no. Let’s do the second one first. The decisions she made and the actions she did (or didn’t do) led her to where she is, burdened her with the extra weight. Unless it is a health issue she can’t help. That’s not who we’re talking about. We’re talking about those of us who just make the wrong decisions, several times a day, every day over several years. In the case of my friend, she does have a medical issue. The fit dude made the decisions and did the work, enough times per day, every day, over several years. He earned the right to put down the 100 pounds (or whatever weight he chose) when he wants to, or when his goals dictate he will. Judgment does not bring happiness though. Kindness does, so the first answer is better. To my friend, tell the Yeses and the Nos to go f..f…fly a kite. Thanks! If we start making more decisions like the fit dude, we can put down three or four pounds per week and in six to nine months, you could be free of a significant part of that burden. The ones willing to make the hard choices and willing to do the work get to put the weight down when they want to. They have the choice of carrying the weight when they want to, for exercise, maybe even for fun. Choices. Of course the “extra weight” isn’t always pounds. It can be fear, guilt, regret, procrastination, clutter, whatever. Unfortunately, the reality is that you can’t just let it go all the time. Sometimes you have to work it off. Have you ever tried letting go? It is so hard. It’s not a fanciful thought…but…the more realistic option is working it off.